Paul Revere (; December 21, 1734 O.S. – May 10, 1818[N 1]) was an American silversmith, engraver, early industrialist, and a patriot in the American Revolution. He is most famous for alerting the Colonial militia to the approach of British forces before the battles of Lexington and Concord, as dramatized in Henry Wadsworth Longfellow's poem, "Paul Revere's Ride". Revere was a prosperous and prominent intelligence and alarm system to keep watch on the British military. Revere later served as a Massachusetts militia officer, though his service culminated after the Penobscot Expedition, one of the most disastrous campaigns of the American Revolutionary War, for which he was absolved of blame. Following the war, Revere returned to his silversmith trade and used the profits from his expanding business to finance his work in iron casting, bronze bell and cannon casting, and the forging of copper bolts and spikes. Finally in 1800 he became the first American to successfully roll copper into sheets for use as sheathing on naval vessels. Paul Revere was born in the North End of Boston on December 21, 1734, according to the Old Style calendar then in use, or January 1, 1735, in the modern calendar. His father, a French Huguenot born Apollos Rivoire, came to Boston at the age of 13 and was apprenticed to the silversmith John Coney. By the time he married Deborah Hitchborn, a member of a long-standing Boston family that owned a small shipping wharf, in 1729, Rivoire had anglicized his name to Paul Revere. Their son, Paul Revere, was the third of 12 children and eventually the eldest surviving son. Revere grew up in the environment of the extended Hitchborn family, and never learned his father's native language. At 13 he left school and became an apprentice to his father. The silversmith trade afforded him connections with a cross-section of Boston society, which would serve him well when he became active in the American Revolution. As for religion, although his father attended Puritan services, Revere was drawn to the Church of England. Revere eventually began attending the services of the political and provocative Jonathan Mayhew at the West Church. His father did not approve, and as a result father and son came to blows on one occasion. Revere relented and returned to his father's church, although he did become friends with Mayhew, and returned to the West Church in the late 1760s. Revere's father died in 1754, when Paul was legally too young to officially be the master of the family silver shop. In February 1756, during the Fort St. Frédéric. He did not stay long in the army, but returned to Boston and assumed control of the silver shop in his own name. On August 4, 1757, he married Sarah Orne (1736–1773); their first child was born eight months later. He and Sarah had eight children, but two died young, and only one, Mary, survived her father. 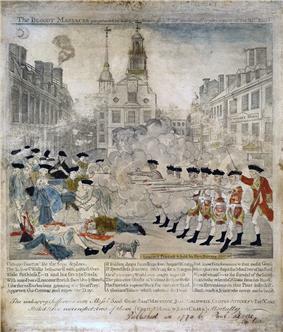 "The Bloody Massacre Perpetrated in King Street Boston on March 5th, 1770". Copper engraving by Paul Revere modeled on a drawing by Henry Pelham, 1770. In 1770 Revere purchased a house on North Square in Boston's North End. Now a museum, the house provided space for his growing family while he continued to maintain his shop at nearby Clark's Wharf. Sarah died in 1773, and on October 10 of that year Revere married Rachel Walker (1745–1813). They had eight children, three of whom died young. In November 1773 the merchant ship Dartmouth arrived in Boston harbor carrying the first shipment of tea made under the terms of the  and was one of the ringleaders in the Boston Tea Party of December 16, when colonists (some disguised as Indians) dumped tea from the Dartmouth and two other ships into the harbor. In the days before April 18, Revere had instructed Robert Newman, the sexton of the North Church, to send a signal by lantern to alert colonists in Charlestown as to the movements of the troops when the information became known. In what is well known today by the phrase "one if by land, two if by sea", one lantern in the steeple would signal the army's choice of the land route while two lanterns would signal the route "by water" across the Charles River. Revere first gave instructions to send the signal to Charlestown. He then crossed the Charles River by rowboat, slipping past the British warship HMS Somerset at anchor. Crossings were banned at that hour, but Revere safely landed in Charlestown and rode to Lexington, avoiding a British patrol and later warning almost every house along the route. The Charlestown colonists dispatched additional riders to the north. 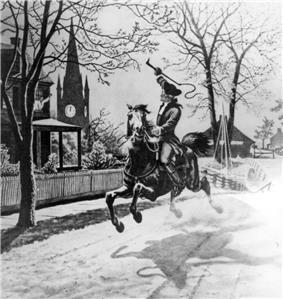 Riding through present-day Somerville, Medford, and Arlington, Revere warned patriots along his route, many of whom set out on horseback to deliver warnings of their own. By the end of the night there were probably as many as 40 riders throughout Middlesex County carrying the news of the army's advance. Revere did not shout the phrase later attributed to him ("The British are coming! "): His mission depended on secrecy, the countryside was filled with British army patrols, and most of the Massachusetts colonists (who were predominantly English in ethnic origin) still considered themselves British. Revere's warning, according to eyewitness accounts of the ride and Revere's own descriptions, was "The Regulars are coming out." Revere arrived in Lexington around midnight, with Dawes arriving about a half hour later. They met with Samuel Adams and John Hancock, who were spending the night with Hancock's relatives (in what is now called the Hancock-Clarke House), and they spent a great deal of time discussing plans of action upon receiving the news. They believed that the forces leaving the city were too large for the sole task of arresting two men and that Concord was the main target. The Lexington men dispatched riders to the surrounding towns, and Revere and Dawes continued along the road to Concord accompanied by Samuel Prescott, a doctor who happened to be in Lexington "returning from a lady friend's house at the awkward hour of 1 a.m."
The British in June 1779 established a new base on  Although Revere was in favor of storming the fort, Brigadier General Solomon Lovell opted for a siege instead. 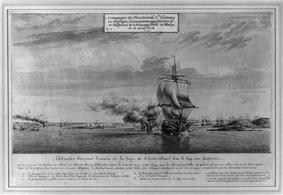 After further disagreements on how to proceed between Lovell and fleet commander Dudley Saltonstall, Lovell decided to return to the transports on August 12, a decision supported by Revere. During the Revolutionary War, Revere continued his efforts to move upwards in society into the gentry. 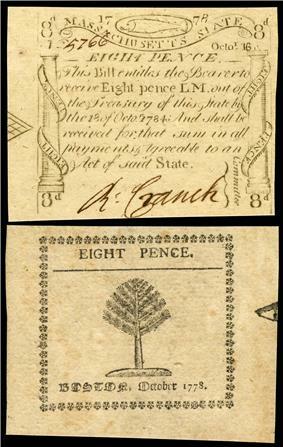 After his failed efforts to become a military officer he attempted to become a merchant, but was hindered by a number of factors: while he was a fairly well-off member of the artisan class, he did not have the resources to afford the goods he would have sold as a merchant, nor were lenders in England willing to lend him the required startup capital. Other American merchants of the time collaborated with colleagues in England. However, Revere's inexperience as a merchant meant that he had not yet established such relationships and was not able to communicate as effectively on unfamiliar matters. Another factor preventing Revere’s success as a merchant was the economic climate of the time period after the war known as the Critical Period; while the colonies had seen a time of economic growth before the war, the colonies experienced a severe post-war depression, constraining the overall success of his business. After the war, Revere became interested in metal work beyond gold and silver. By 1788 he had invested some of the profits from his growing silverworking trade to construct a large furnace, which would allow him to work with larger quantities of metals at higher temperatures. He soon opened an iron foundry in Boston's North End that produced utilitarian cast iron items such as stove backs, fireplace tools, and window weights, marketed to a broad segment of Boston's population. Many of Revere’s business practices changed when he expanded his practice into ironworking, because he transitioned from just being an artisan to also being an entrepreneur and a manager. In order to make this transition successfully, Revere had to invest substantial quantities of investment capital and time in his foundry. 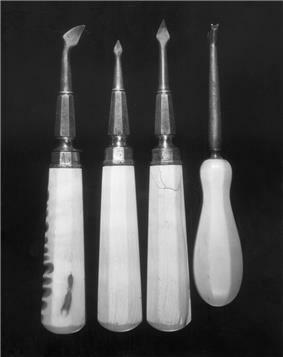 The quasi-industrialization of his practice set Revere apart from his competition. “Revere’s rapid foundry success resulted from fortuitous timing, innate technical aptitude, thorough research, and the casting experience he gained from silverworking.” This technical proficiency allowed Revere to optimize his work and adapt to a new technological and entrepreneurial model. Revere’s location also benefited his endeavors. Revere was entering the field of iron casting in a time when New England cities were becoming centers of industry. The nature of technological advancement was such that many skilled entrepreneurs in a number of fields worked together, in what is known by Nathan Rosenberg as “technological convergence”, by which a number of companies work together on challenges in order to spur advances. By accessing the knowledge of other nearby metal workers, Revere was able to successfully explore and master new technologies throughout his career. 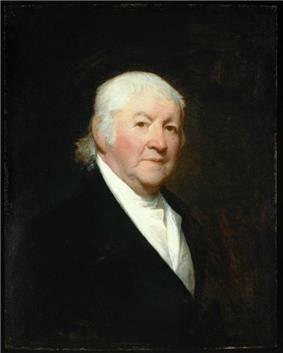 Revere remained politically active throughout his life. His business plans in the late 1780s were often stymied by a shortage of adequate money in circulation. Alexander Hamilton's national policies regarding banks and industrialization exactly matched his dreams, and he became an ardent Federalist committed to building a robust economy and a powerful nation. He continued to participate in local discussions of political issues even after his retirement in 1811, and in 1814 circulated a petition offering the government the services of Boston's artisans in protecting Boston during the War of 1812. 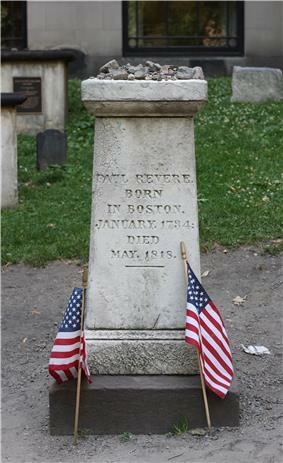 Revere died on May 10, 1818, at the age of 83, at his home on Charter Street in Boston. He is buried in the Granary Burying Ground on Tremont Street. The communities of Revere, Massachusetts and Revere, Minnesota bear his name, as do Revere Beach in Revere, Massachusetts, Revere Avenue in The Bronx, New York City, and Paul Revere Road in Arlington Heights in Arlington, Massachusetts. The rock group Paul Revere and the Raiders had considerable popularity from the middle 1960s through the early 1970s. The group's music is acclaimed today for its "bold, unpretentious pieces of '60s rock & roll with a defiant, punk edge". In "Fugue for Tinhorns", an early number in the musical Guys and Dolls, one of the gamblers, Nicely-Nicely Johnson, refers to a horse with the name of "Paul Revere" as slated to win a big race. Longfellow's poem is not historically accurate, but the inaccuracies were deliberate. Longfellow had researched the historical event, using such works as  The poem was one of a series in which he sought to create American legends; earlier examples include The Song of Hiawatha (1855) and The Courtship of Miles Standish (1858). Longfellow was successful in creating a legend: Revere's stature rose significantly in the years following the poem's publication. ^ "About the Revere Copper Company". Revere Copper Company. Retrieved April 24, 2009. ^ "Boston Museum of Fine Arts Search for Paul Revere". Boston Museum of Fine Arts. Retrieved April 24, 2009. Alexander, John (2002). Samuel Adams: America's Revolutionary Politician. Lanham, MD: Rowman and Littlefield. Boatner, Mark Mayo, III (1975) . Encyclopedia of the American Revolution. Library of Military History. New York: David McKay. Brooks, Victor (1999). The Boston Campaign: April 1775–March 1776. Conshohocken, Pennsylvania: Combined Publishing. Drake, Samuel Adams (1899). 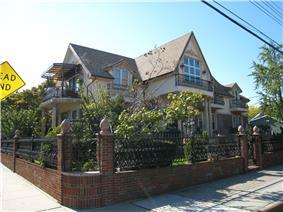 Historic Mansions and Highways Around Boston. Boston: Little, Brown. This work is extensively footnoted, and contains a voluminous list of primary resources concerning all aspects of the Revere's ride and the battles at Lexington and Concord. Gettemy, Charles (1905). The True Story of Paul Revere. Boston: Little, Brown. Ketchum, Robert (1999) . Decisive Day: The Battle For Bunker Hill. New York: Henry Holt and Co.
McDonald, Forrest; McDonald, Ellen (April 1980). "The Ethnic Origins of the American People, 1790". The William and Mary Quarterly. 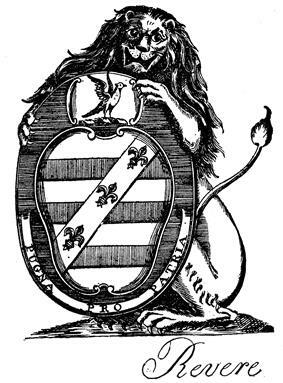 Third 37 (2): 179–199. Miller, Joel J. (2010). The Revolutionary Paul Revere. Nashville, Tennessee: Thomas Nelson. 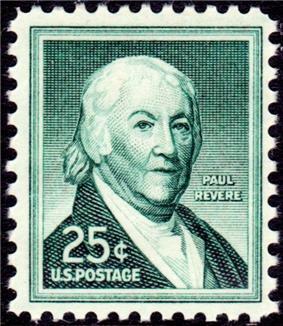 Revere, Paul (1961). Paul Revere's Three Accounts of His Famous Ride. Introduction by Edmund Morgan. Boston: Massachusetts Historical Society. Schmidt, Leah A (2002). Revere Beach. Mount Pleasant, SC: Arcadia Publishing. Steblecki, Edith J. (1985). Paul Revere and Freemasonry. Boston: Paul Revere Memorial Association (PRMA). Upham, Warren (1920). Minnesota Geographic Names: Their Origin and Historic Significance. St. Paul, Minnesota: Minnesota Historical Society.